Hair Club offers all proven hair loss solutions tailored to your specific hair loss needs. 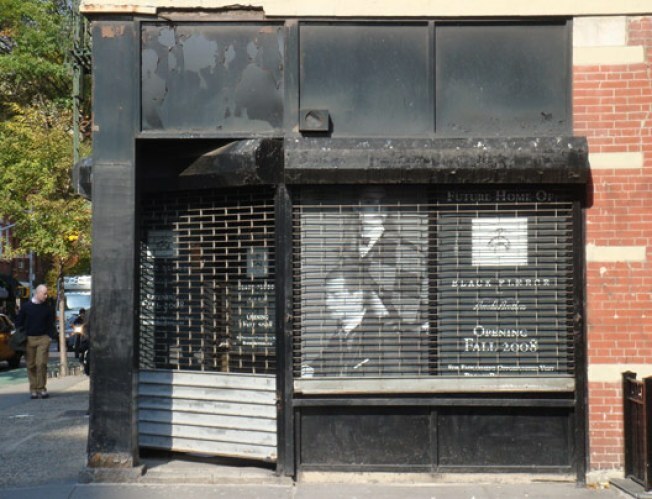 Continuing with the saga of Brooks Brothers' Black Fleece store coming to the West Village, we dropped by hoping to spot any more movement and were disappointed again. Back when Thom Browne's Brooks Brothers label nabbed the space away from Village fixture Nustraty Afghan Imports for $45,000 a month, we held our breath watching the signage come down and the space go dark. Now that Black Fleece is paying the exorbitant rent, we expected there to be a swift flip at least in time for Black Friday, the blowout shopping day after Thanksgiving. All we're seeing at the space now, however, is gathering dust, a sheen of bird poop and a rusting facade. The signs on the window may say "Opening Fall 2008," but that seems an overly positive estimate given the way they are (not) progressing. For more stories from Racked, go to racked.com.